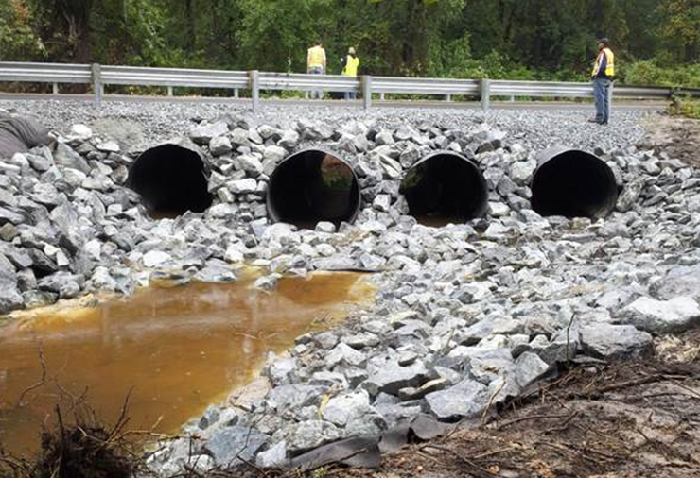 The Maryland Department of Transportation State Highway Administration will use this summer to replace the MD 381 (Brandywine Road) Bridge over Timothy Branch in Prince George’s County, Maryland. 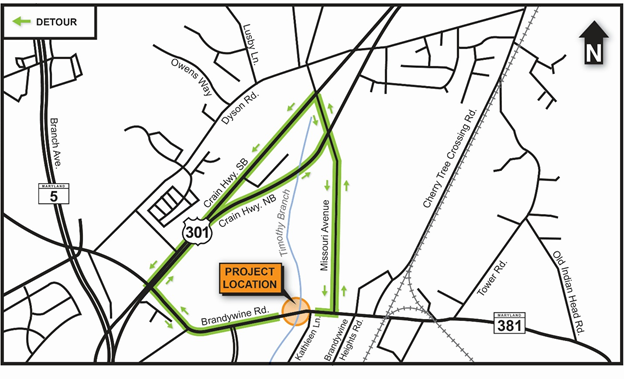 WASHINGTON — The Maryland Department of Transportation State Highway Administration will use this summer to replace the MD 381 (Brandywine Road) Bridge over Timothy Branch in Prince George’s County, Maryland. Drivers will be detoured using Missouri Avenue and US 301 (Crain Highway). Travelers should add extra time to their commute for the work zone detour. MDOT SHA crews have now closed and are currently detouring Brandywine Road for the next 10 weeks. The new bridge will reopen in late August before the new school year. It will have two travel lanes with bicycle compatible shoulders. Adding roadway signs and new pavement markings. Monday, June 25, will be the first test for morning rush hour with the closure and detours of Brandywine Rd. If your trip is eastbound toward US 301, in the morning rush hour, the diversion will be north at Missouri Ave to US-301 or to Dyson Rd. back to Brandywine Rd. But, keep in mind, you could opt out earlier eastbound using Tower or Cherry Tree Crossing Roads. And, depending on how these smaller roads seem to handle the diversion, drivers out of Hughesville, Aquasco or Cedarville may want to plan their diversion earlier to head farther north through Croom.